Barbless fishing has a long tradition in Switzerland. Imported hooks were very expensive and hardly available. Therefore the first flies used were tied on bent needles. When thereafter the last hundred years fishermen used barbed hooks this was due to their false fear of loosing fish. Thats wrong- when you know how to keep tension on the line, barely a fish goes off your barbless hook. Not only our respect towards the fish, but also avoiding unnecessary injuries or stress-related deaths in juvenile fish forces us to fish barbless. Since 2008 Swiss legislation prohibits the use of barbed hooks in every flowing water. The Camole d'Ossola nymphs were developed in the 18th century in northern Italy. They were not long after their successful use in Italy further adapted in the southernmost canton of Switzerland - Ticino. 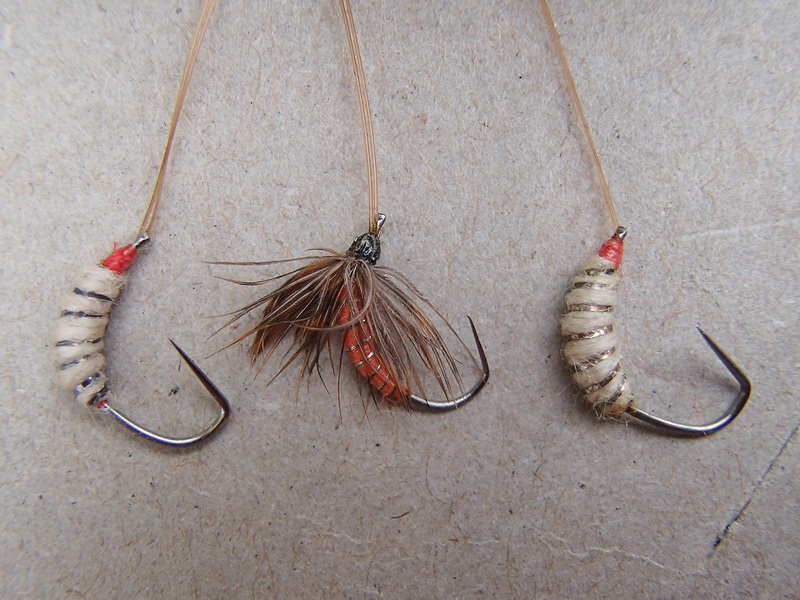 Wet flies and most probably even dry flies were tied on similar hooks. With these the fishermen fished for trout and grayling in the creeks and rivers, using long rods and horsehair lines. 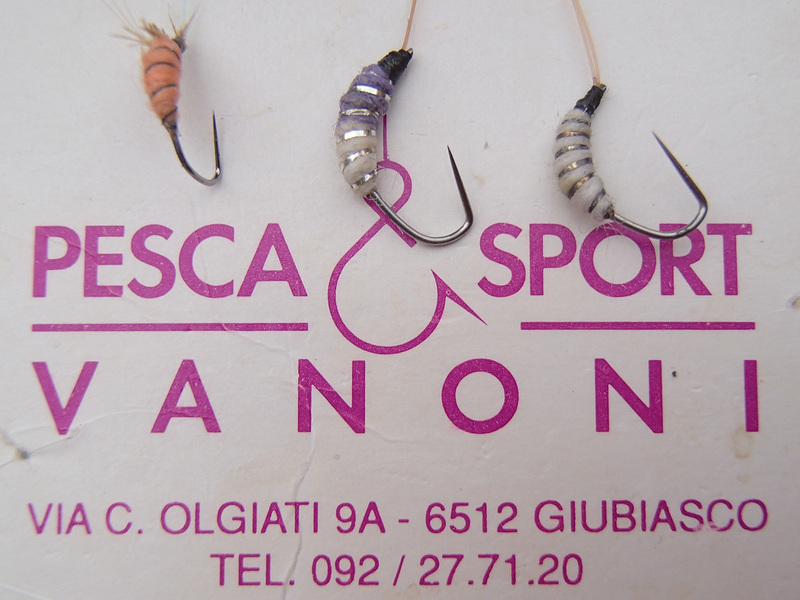 The white Camola is part of all traditional nymph sets of Ticino. Summer and autumn successful for fishing trout and grayling. Barbless Mosche d'Ossola wet flies were tied on the same hooks made from needles. 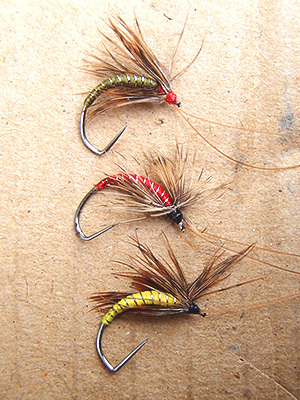 Best for fishing trout during the whole fly season- depending on colors and sizes. 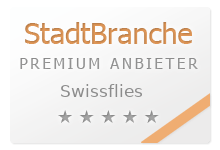 Copyright Swissflies - Swiss historical flies.